On Saturday, I had the pleasure of being accompanied to the forest by the Weekend Woodswife (the Woodsboy was spending the day with the Woodsgrandparents ;)). It was a nice change from the norm, both because I could share my hobby with the Woodswife and because she was able to take pictures of me doing stuff (I just don’t bother setting up timed shots when I’m out by myself). The only pics I took that day are the ones of her. We left in the late morning and snowshoed to my campsite. 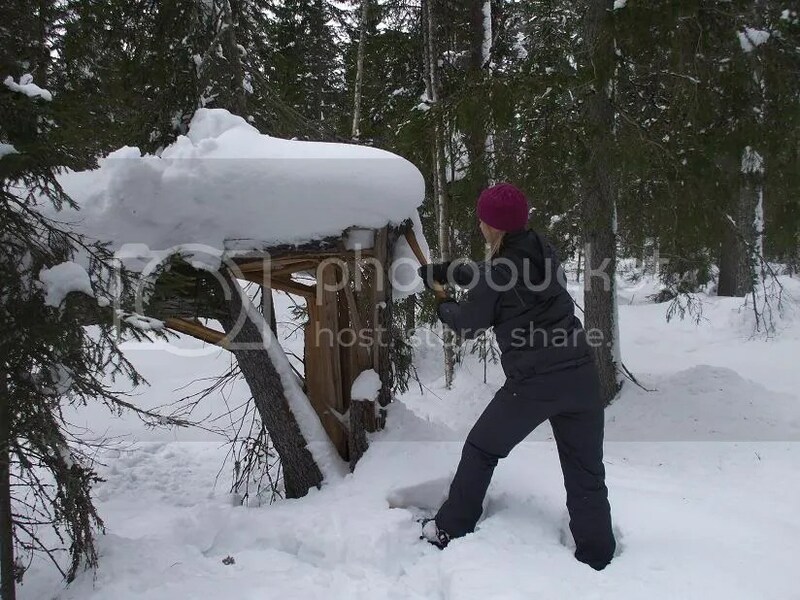 The Woodswife learned that snowshoes don’t always work as intended. 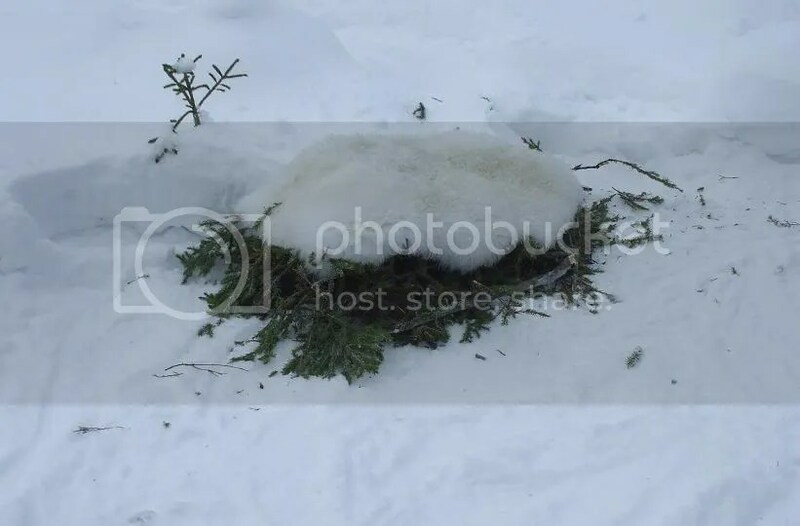 When we reached my kota shelter, I laid down a lamb fleece on the pile of spruce branches so the Woodswife could rest in comfort. After a short while, she wanted to hike around a bit. 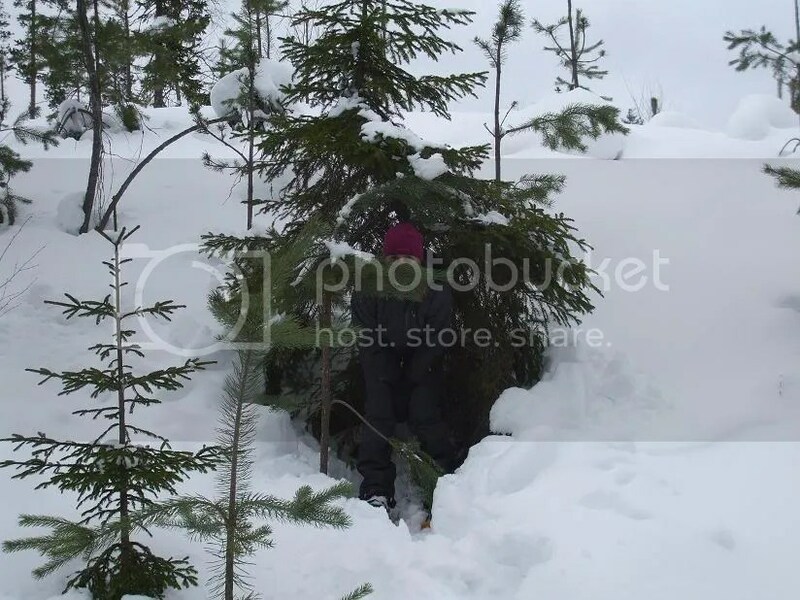 Close by, she found a small “natural shelter” at the base of a spruce tree. She then gave me a lesson in felling large trees. So that’s how to do it…? 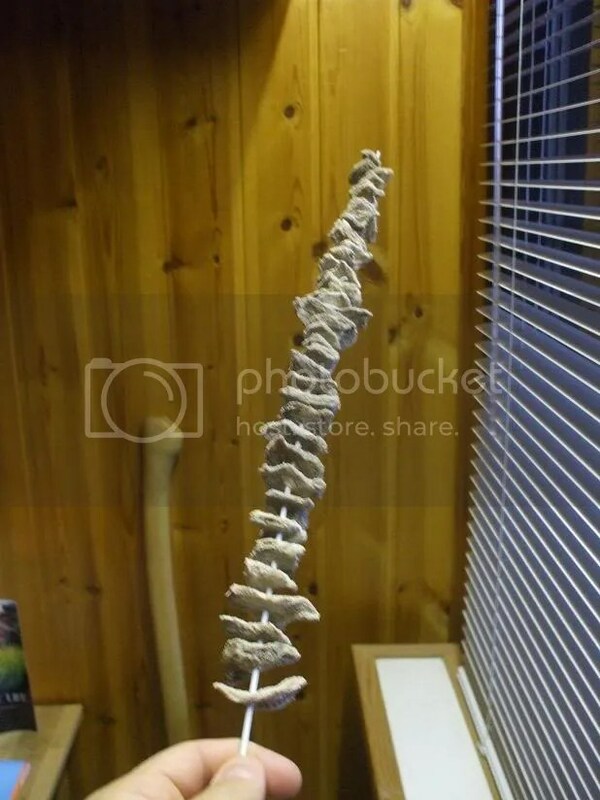 I started sweating when I heard her muttering something about “wanting to go out and look for a fun guy“, but then I realized that she meant something like this. 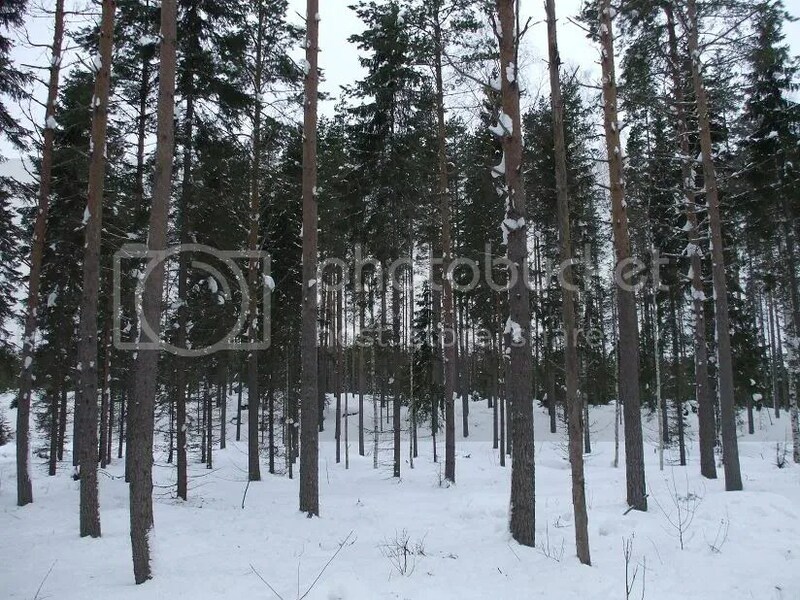 Some nearby saplings and young trees. 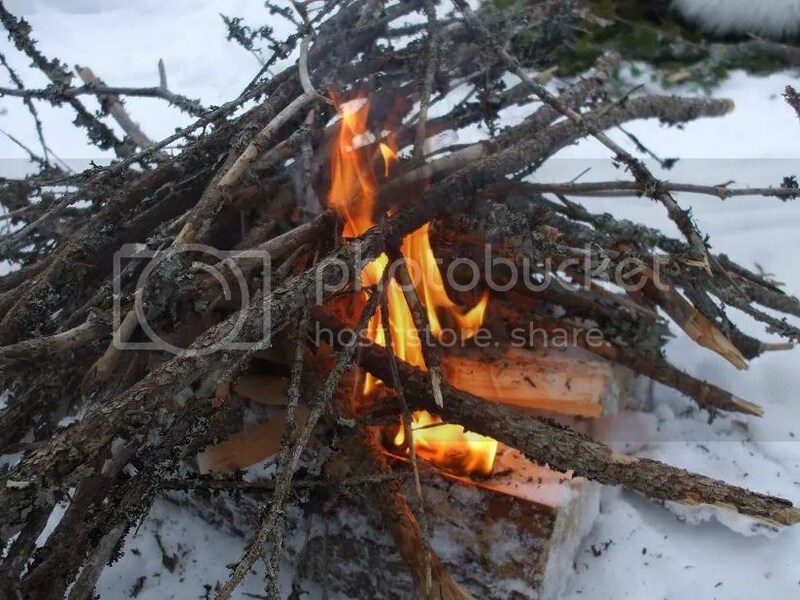 I decided to gather some birch bark and lower dead branches from spruce trees to use as kindling. 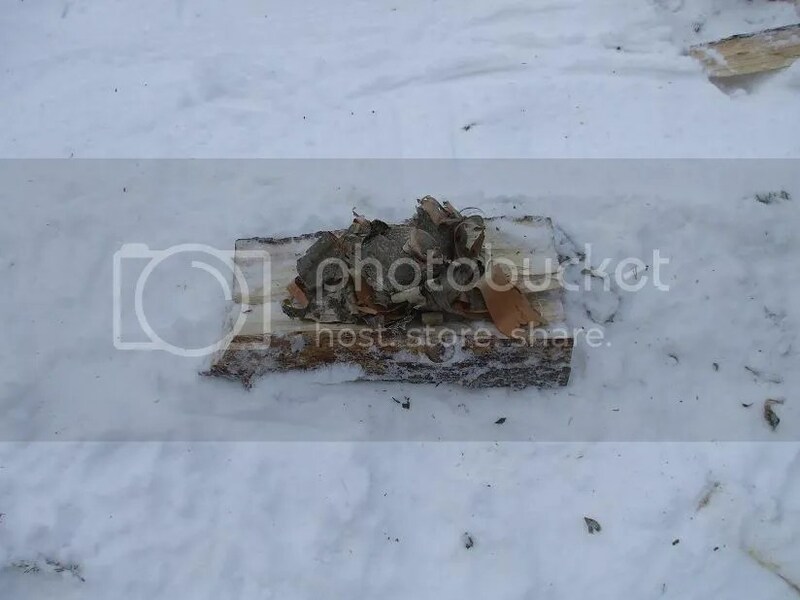 We tamped down some snow and moved the “couch” outside near where the fire would be. I dug out some firewood from my secret stash. Then I split it up a bit. 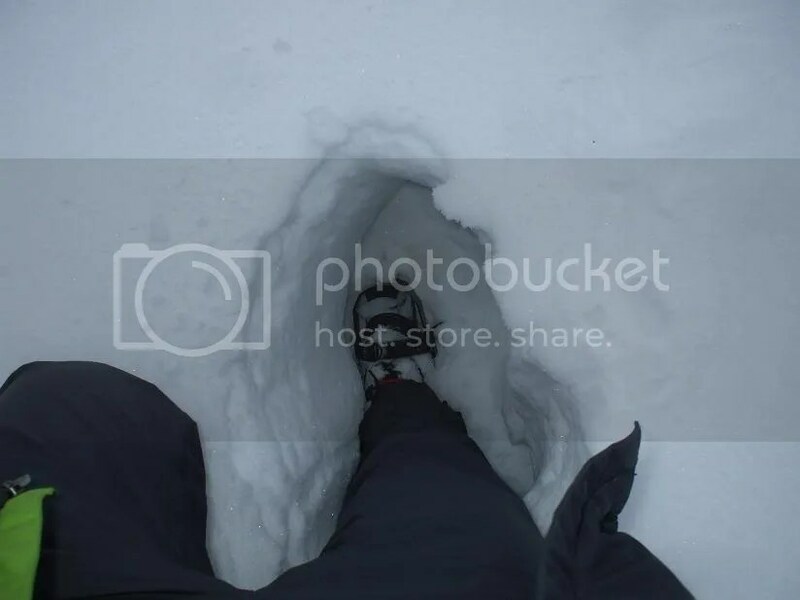 By the way, I’m wearing high rubber boots under my pants, so even though part of my pants are wet, I’m completely dry and warm underneath. 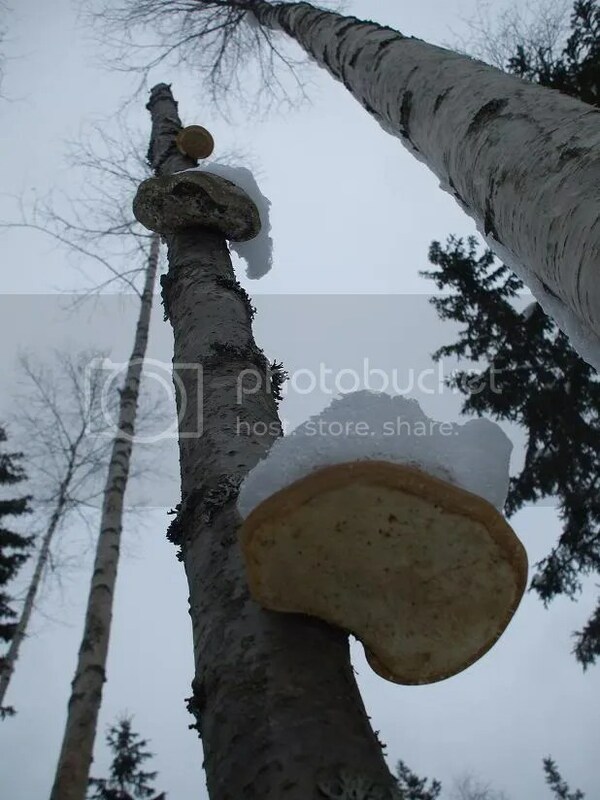 I made a wood platform on the snow, placed birch bark on top of that and then put the dry spruce branches on top of that. 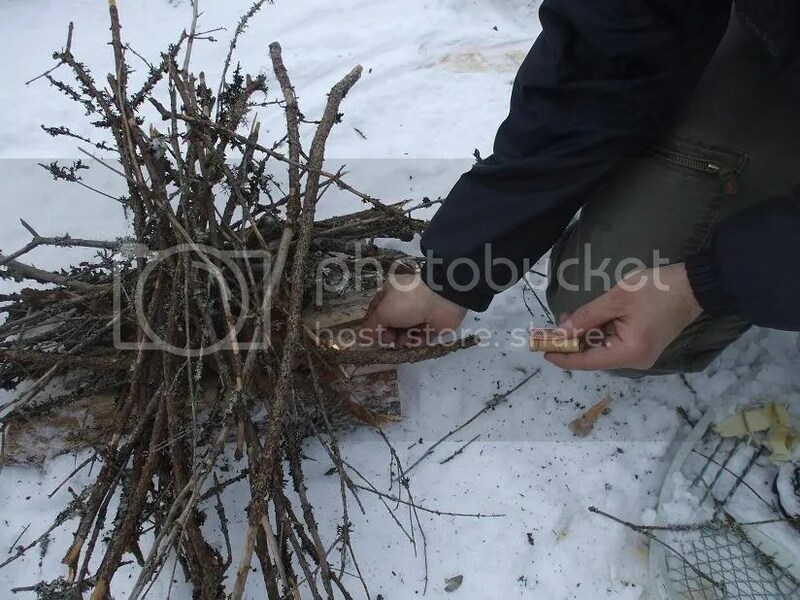 Then I got out my matches and lit the birch bark. 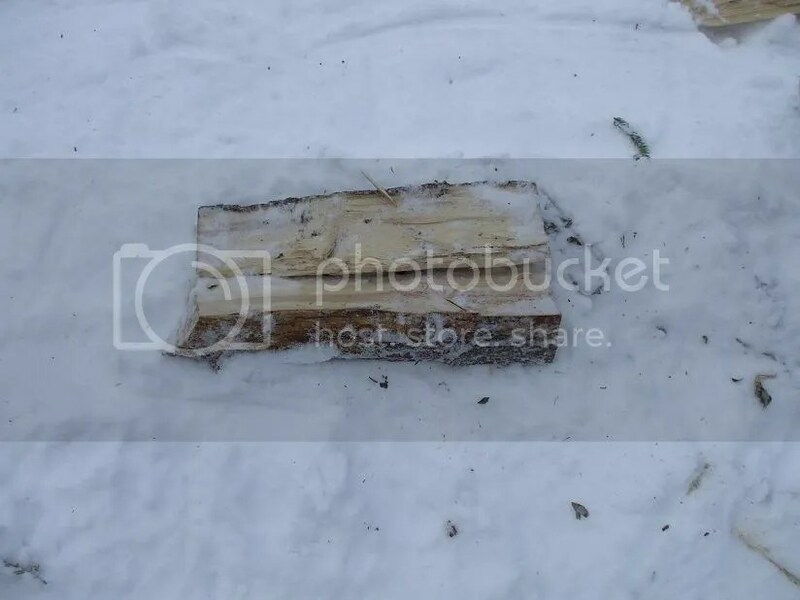 I put some pieces of split spruce on top so they could already start warming up. 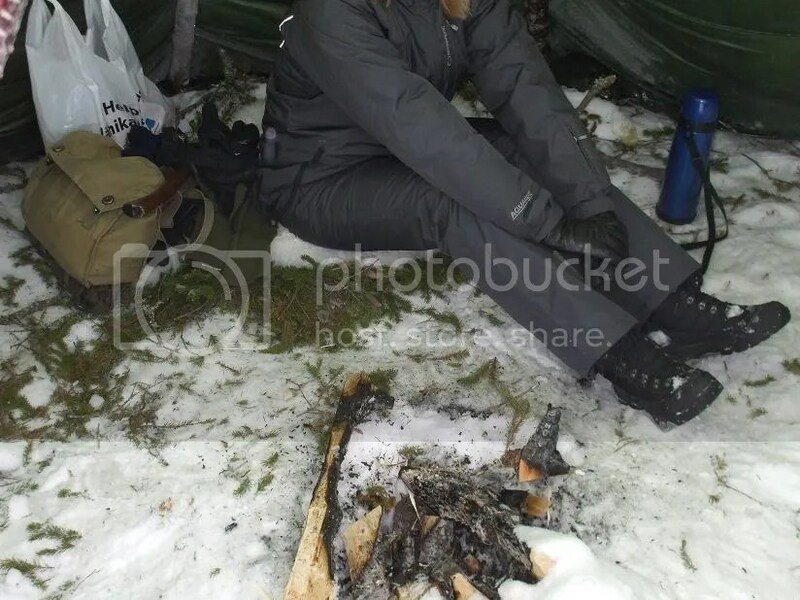 The Woodswife has thinner skin than me, so she decided to start shoeing back while I was getting the last few things sorted before leaving the camp. 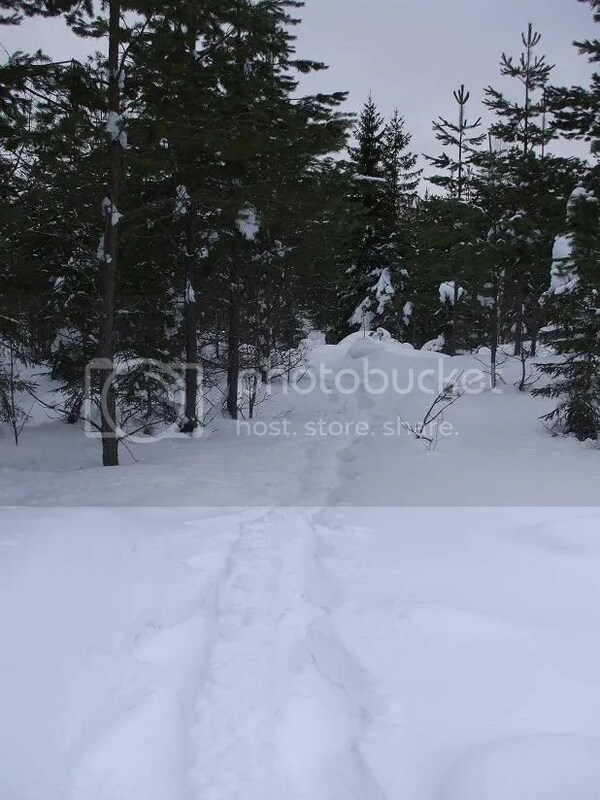 Here’s a shot of our tracks in the snow. And the scenery between the camp and where we parked. 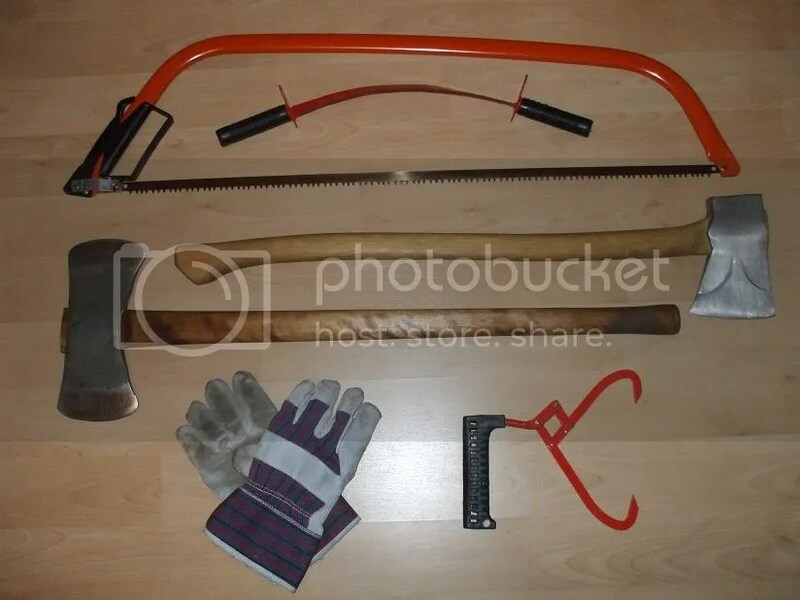 Today I thought I’d show you a few of the tools of the woodsman which I have slowly acquired here and there over the past few years. Two of the tools were purchased second-hand for very little money, and one was free. By no means is the group shown here a complete set of woods tools. There are plenty of glaring omissions (splitting maul, steel splitting wedge, rope, brush axe, peavey, adze, the list goes on and on). It merely shows what I have accumulated casually so far. I will continue to pick up more tools as I come across them. While I do use some of the above tools from time to time, I am mainly holding on to them for future use (making firewood, log construction, big projects etc.) at a future homestead. Last autumn, something motivated me to try preserving meat for the first time. I didn’t want to try to make beef jerky yet (though I do love it). 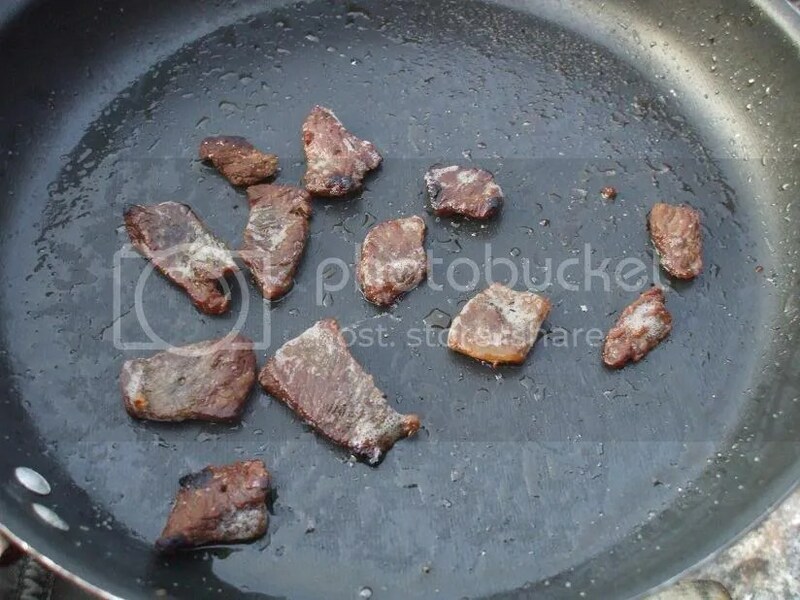 I just wanted to experiment to find an extremely simple way to dry out meat at home without smoking it over a fire (which I will try soon). So I bought some beef cubes from the supermarket, sliced them thin (about 5 mm/0.2″ thick) and packed them in layers of sea salt. After a day or two in the refrigerator, I took them out and stuck them on a thin metal rod. After about a week, the pieces were completely dry and hard. Shortly after this, I brought some pieces along on a camping trip, soaked them in water for about 1.5 hours (should have been much longer, like 4 or 5 hours) and then fried them in oil. It tasted like beef bacon! Several months later, the meat looks/feels exactly the way it did when I dried it, so I think it should stay well preserved for a long time. It seems that this method definitely has some potential. 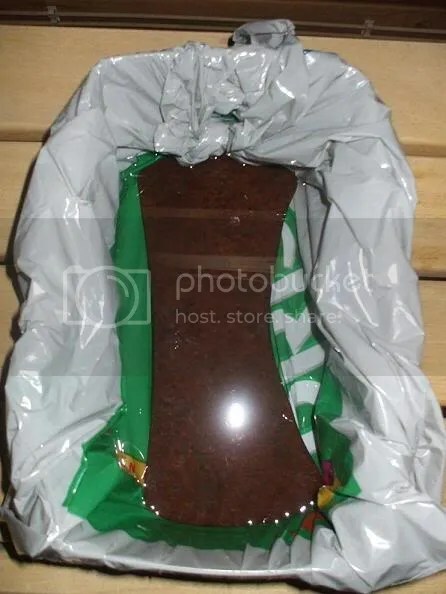 The next time I cook with this meat, I will soak it for several hours to remove more salt and allow it to absorb more water and then I will make a stew with it using potatoes, onions, carrots etc. as well. 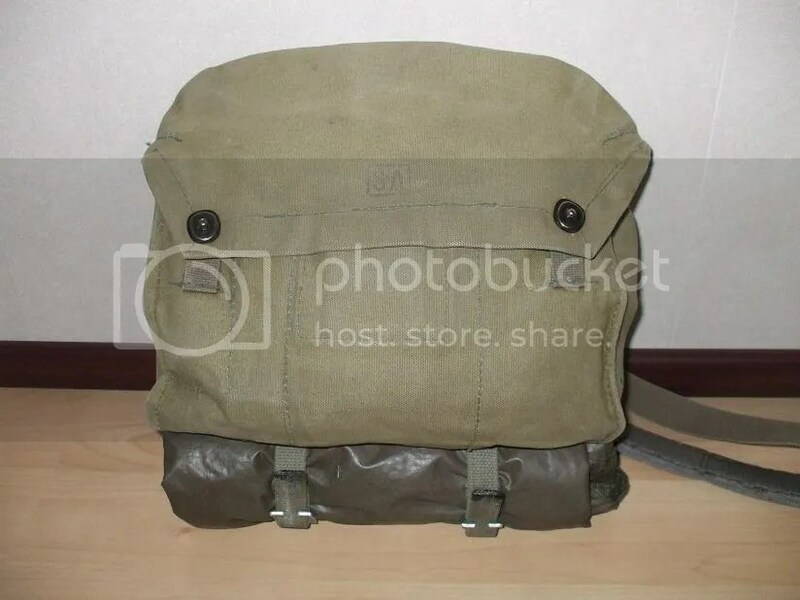 As you may know, I use a Finnish army gas mask bag as a shoulder bag in the woods. I find it convenient to keep smaller, frequently used items there, where they are readily accessible, rather than in my backpack. 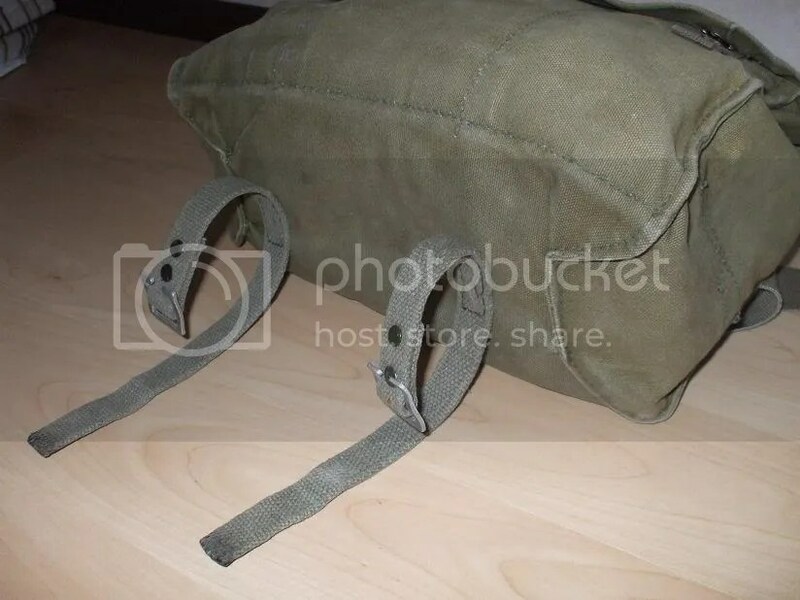 Previously, I had done two small modifications to this shoulder bag: waxing to make it water resistant and the addition of padding on the shoulder strap to make it more comfortable. Last weekend, I did another small modification to this bag to make it more useful: I added two straps to the underside for carrying my rain poncho externally. While the rain poncho fits just fine inside the shoulder bag with all the other contents, it doesn’t leave much room for additional things. Attaching the rain poncho to the outside allows me to easily fit a day’s worth of food inside (which is usually the only thing I need to bring that’s not already included in the kit). It also frees up extra room for my knife, so I can keep it there if I am in a public place where wearing my knife on my belt would be a bit weird. I started by cutting two German military surplus straps to size (I don’t remember what the original purpose of these straps was. Attachment straps for a sleeping bag, maybe?). I then melted wax and soaked the ends of the straps with the wax to prevent fraying and to stiffen them up a bit. The final step was to sew them on. I reinforced the front and back stitch lines several times for added strength. Hopefully the thick military-grade thread I used will be strong enough. If this proves not to be the case, I will reinforce the stitching with some type of extra-strong thread. I’ll keep an eye on it to see how it holds up. 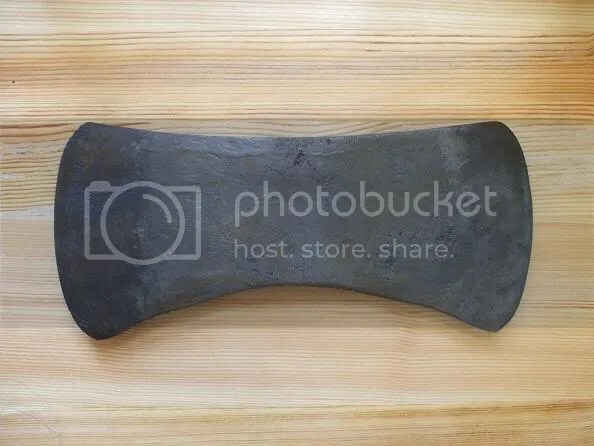 Last year, I won an old, rusty double-bit axe head in a writing contest at The Sharpened Axe blog. Most people who are not interested in such things would seriously question whether this is any kind of “prize” at all. Of course, you and I know better. 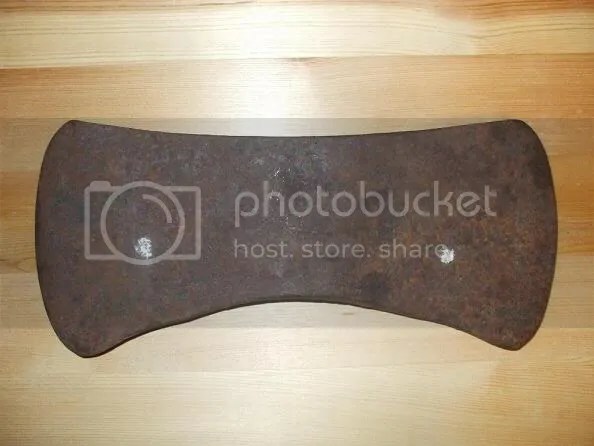 😉 I did a series of write-ups for TSA on how I restored the axe and have since put it to some use. The following post shows the progression of the restoration and some new pictures as well. The head weighs four pounds and, from what I can tell, was not used much, if at all. 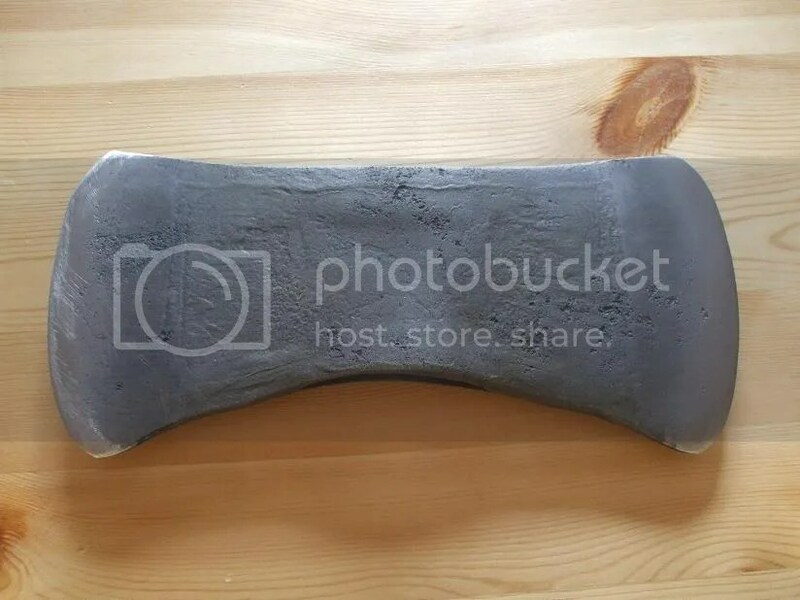 Since these old axe heads were usually made very well, that makes it a great catch, as it’s got lots of life in it. Both bits were of the same thickness, and they were pretty thick. 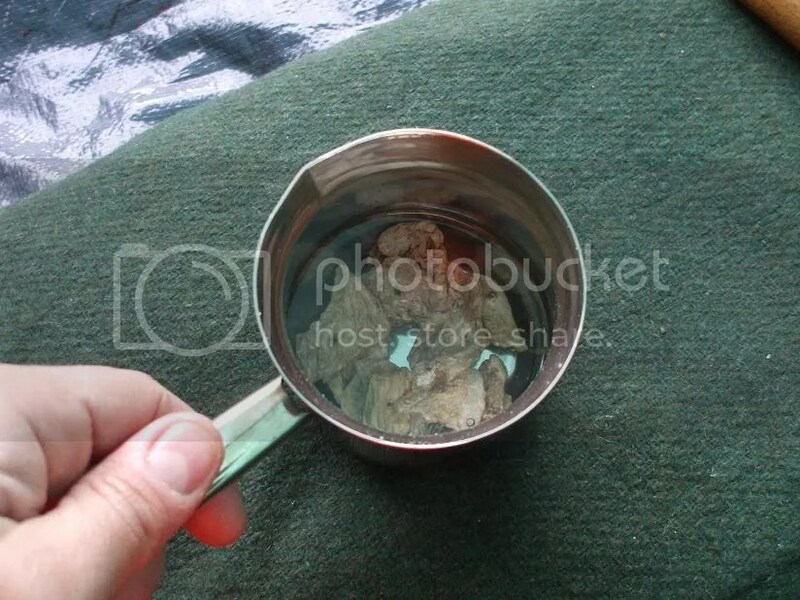 To begin, I had to remove the rust to see what I had to work with. 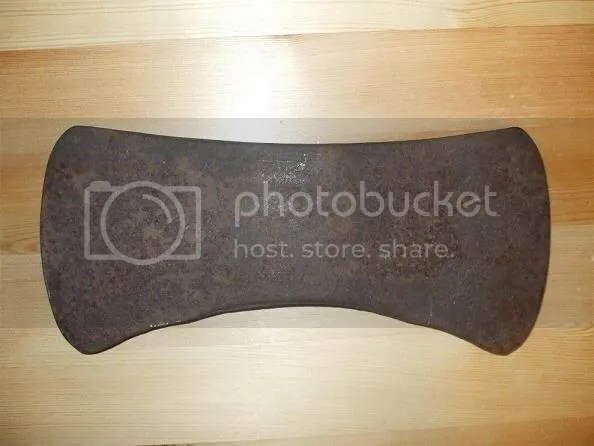 After leaving the head in a vat of vinegar for almost a week, all of the rust had come off, and only clean metal with a vinegar patina remained. You can clearly see how the vinegar made a darker patina on the tempered section of the bits. The next step was to file the bevels/edges to get to the bare metal underneath. Looks good so far! 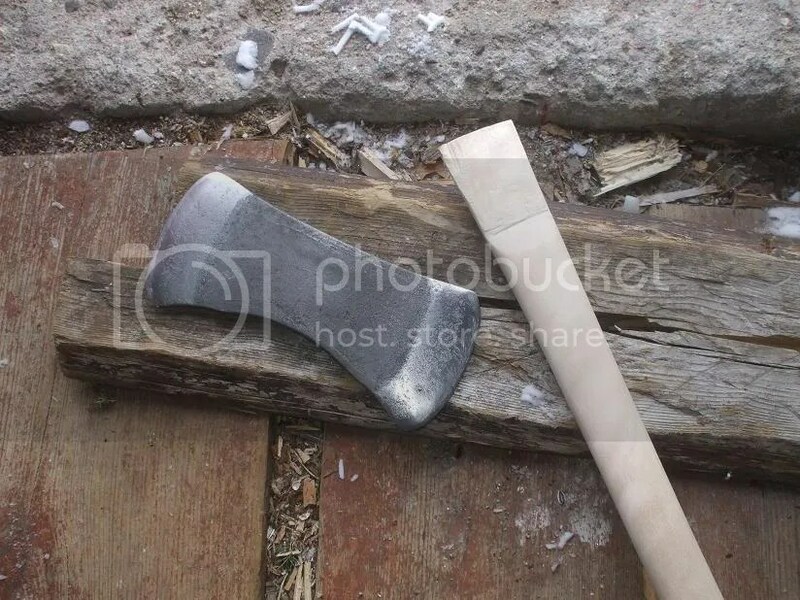 This was followed by sanding the bits with progressively finer sandpaper (a smooth bit prevents the axe head from sticking in wood). Once the head itself was complete, it was time to fit a handle. 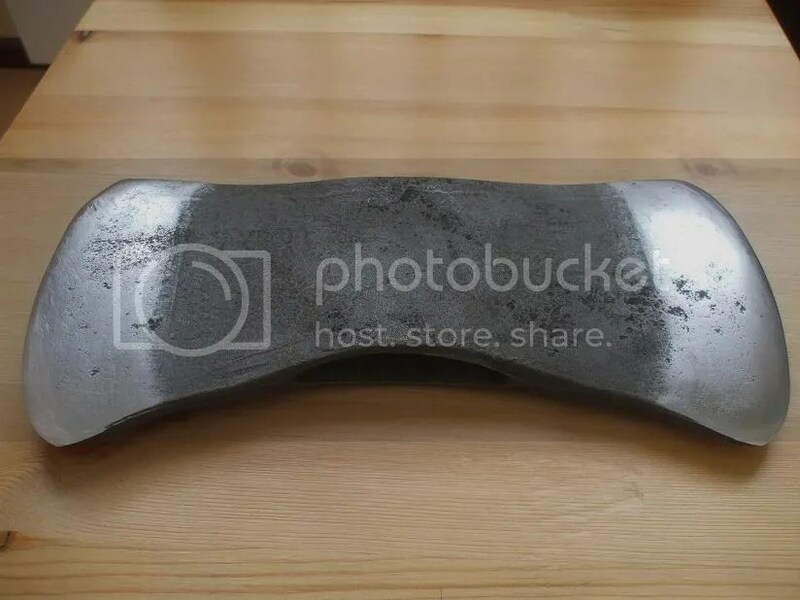 I was not patient enough to make a handle myself and wait for it to dry out, so I bought a handle from a local hardware store. 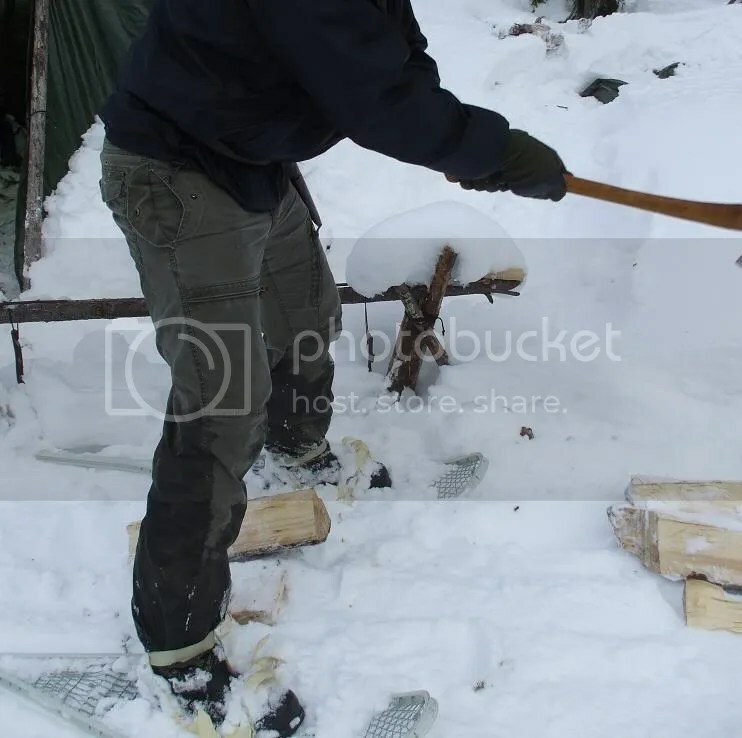 As double-bit axes are/were not common in Finland, I had to use the closest thing I could find, which was a pick handle made of birch. It actually turned out to be a pretty good solution. I shaped the handle with a knife, rasps and sandpaper and fitted the head onto it. 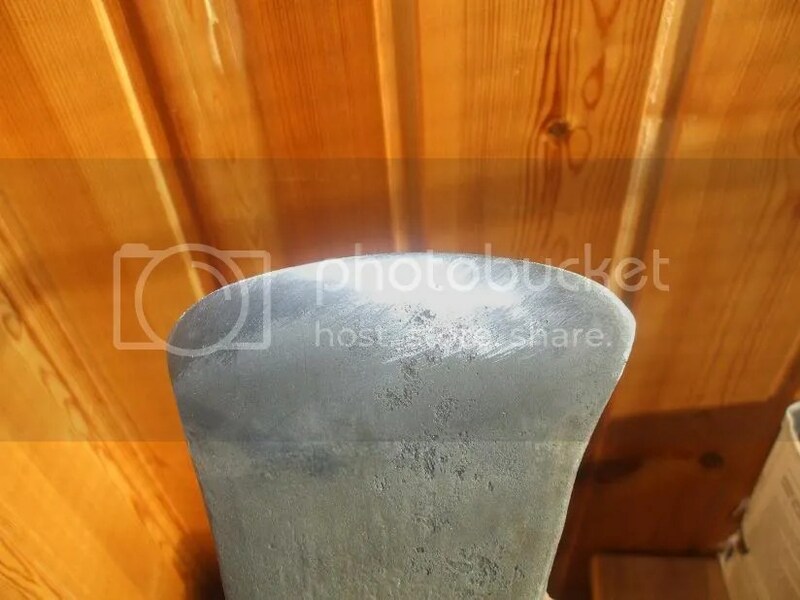 I made a poplar wedge and used it and two steel wedges to secure the head in place. 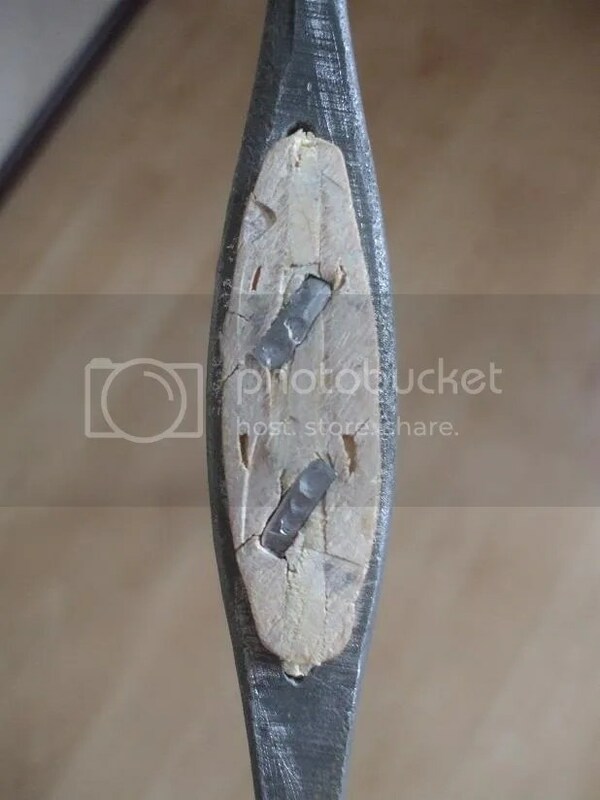 Since the pick handle did not quite fill the eye of the axe head, I made two wooden wedges of equal size and knocked them into the spaces from the bottom in an alternating fashion (one knock on one side, then one knock on the other, to make sure they went in evenly). This was followed by finishing the handle with a few light coats of walnut stain and some teak oil. I soaked the top of the handle with teak oil to strengthen and harden the wood in the eye (birch tends to be soft and can deform/compress much easier than, say, hickory). The dark splotches you see are from the natural grain of the wood. I have not done anything to change the thickness of the bits, so right now the axe is best suited for green soft woods, birch etc. 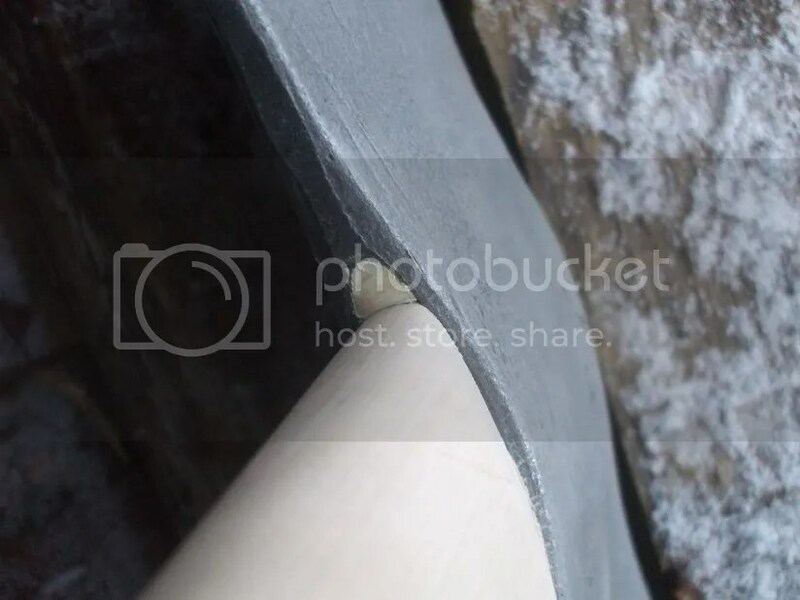 (though I have used it for some seasoned-wood bucking, as you can see below). I may leave it this way, or I may thin out one of the bits in the future. Who knows. 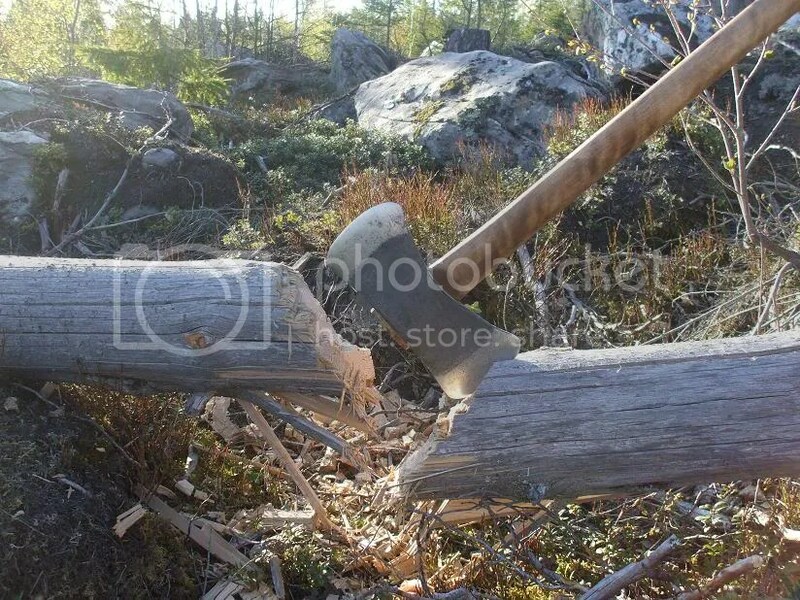 I already have a full-size felling axe with a thinner bit for seasoned wood, so I’m in no hurry to modify the double bit. 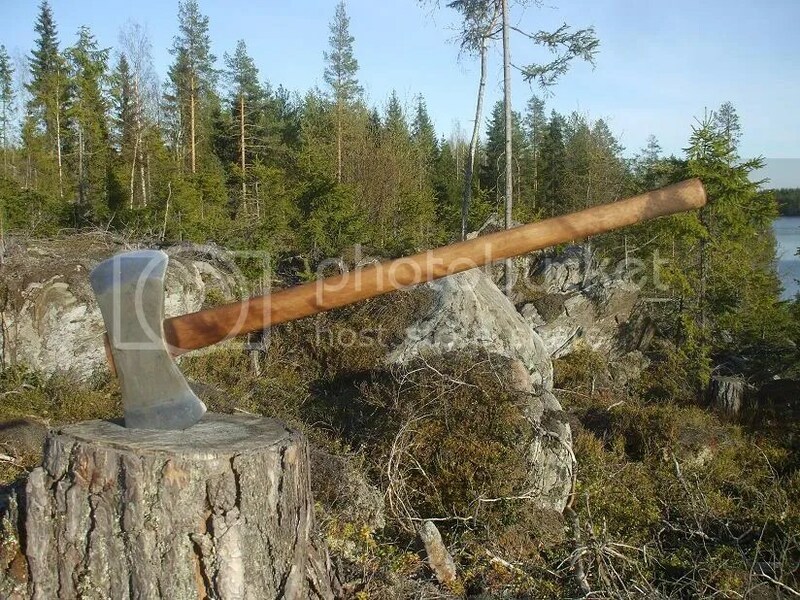 The main purpose of this axe will be notching trees for felling with a saw or possibly for the entire felling task for larger trees. 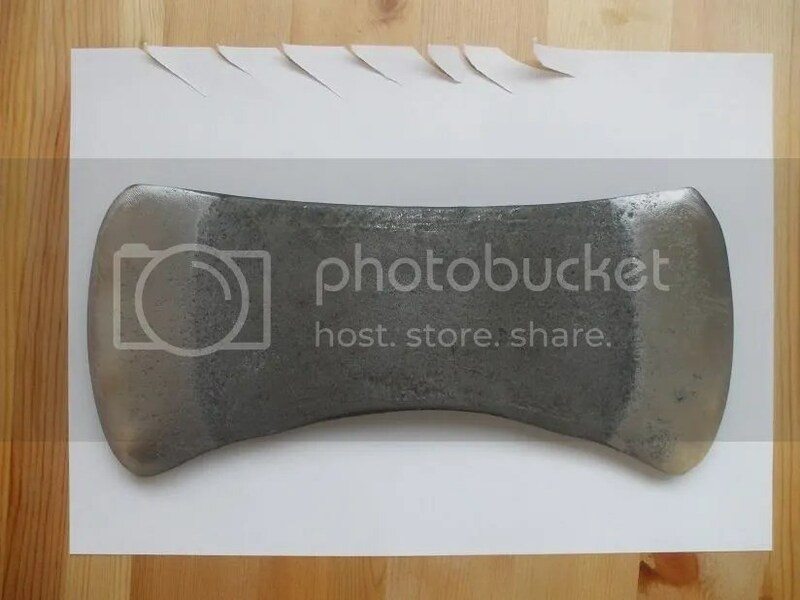 It’s not intended to be a bushcraft axe for every trip, because I usually just don’t need an axe of this size for camping or daytrips. 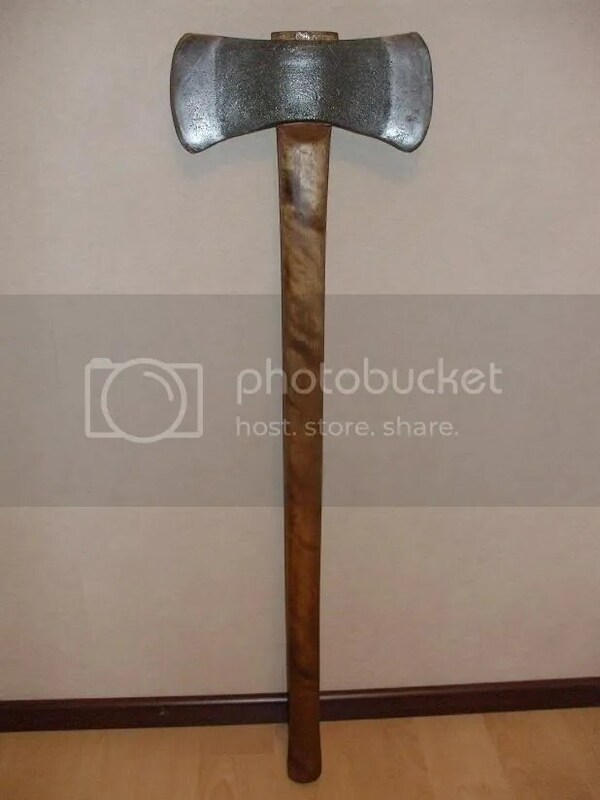 Axe care, maintenance, rehandling etc. The information in this book is just as valid today as when it was first published. It covers many aspects of woodsmanship which I have not seen in any other reference, including paperback books I have purchased. I consider this book to be at or near the top of the list when it comes to books on this subject. 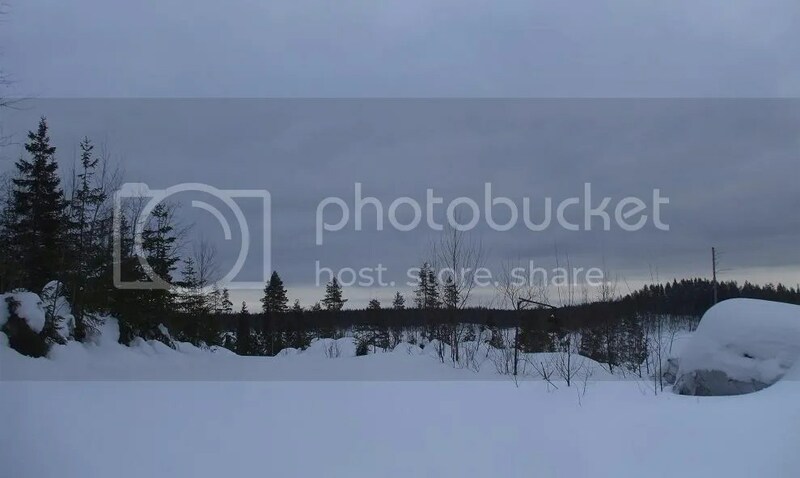 Two weeks ago, I wrote a post about my daytrip to the forest, where the temperature was -7*C (19.5*F). 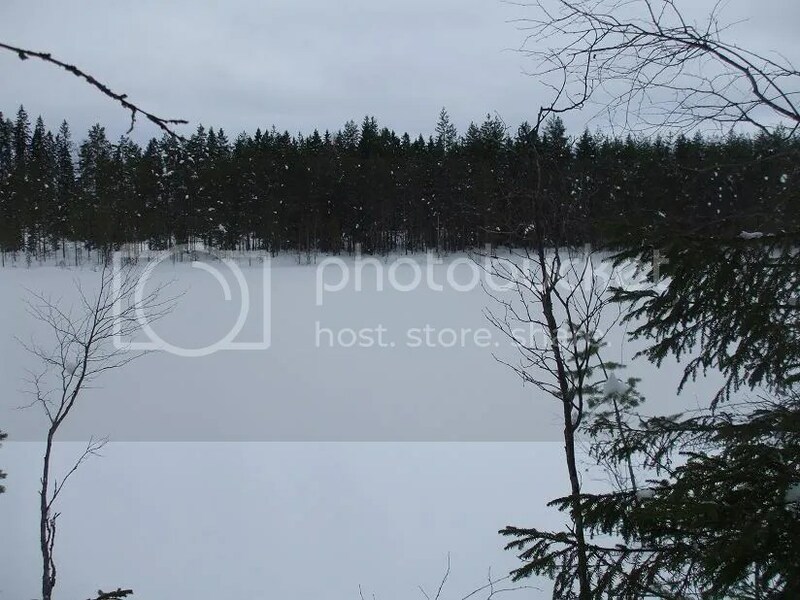 I went to the same place the following weekend, but the temperature during that outing ranged from -18*C (-0.5*F) to -23*C (-9.5*F). Well, I’m “happy” to report that the temperature this past weekend was colder still, starting out at -30*C (-22*F), rising to -25*C (-13*F) and dropping to -27*C (-16.5*F) by the end. As you know, I was having trouble taking pictures with my camera while on the previous outing, so there was no chance of me getting any shots this time (though I did roast my camera near the fire several times trying to warm it up in the hopes that I could squeeze one or two pictures out of it, but to no avail). So I don’t have any pictures for you today, but what I do have is information about the kind of clothing I wear in cold conditions. 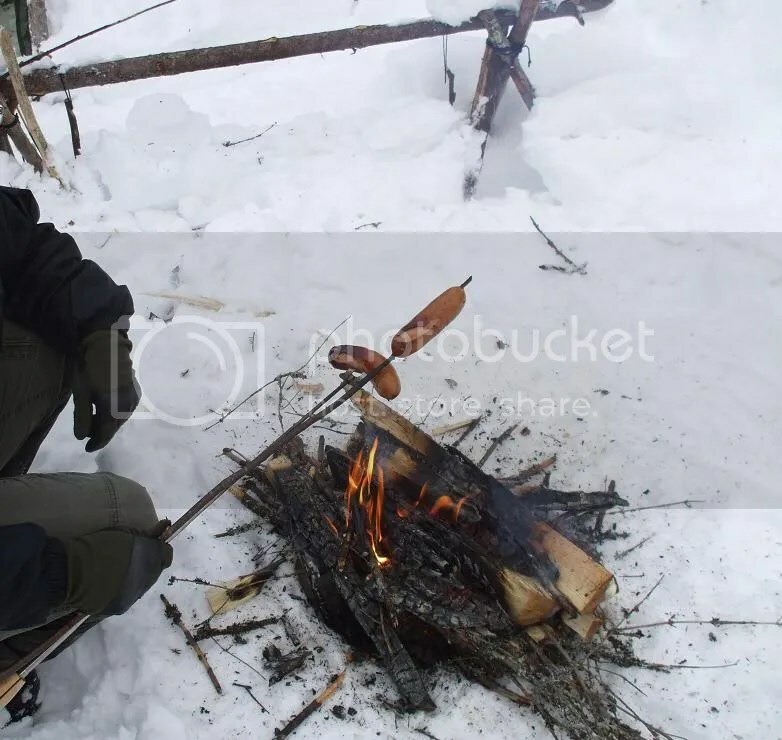 This might prove useful to those of you starting out with cold-weather hiking, camping, bushcraft etc. In this post, you will find a list of my specific choices and methods. More general information about insulation, the properties of different materials, how heat is lost from the body etc. can be found online. The following lists cover the clothing I have worn down to -30*C (-22*F) and been warm. Not warm like “lying on a beach in Florida warm”, but warm enough. Later on I will explain how I vary and adjust this clothing at higher temperatures and while being active. I will move from head to toe and from inside out. For the base clothing layers, I like synthetic materials that wick sweat away from the body. I like cotton and leather as the outer garment materials because they are rugged and resistant to heat and sparks/embers from a fire. 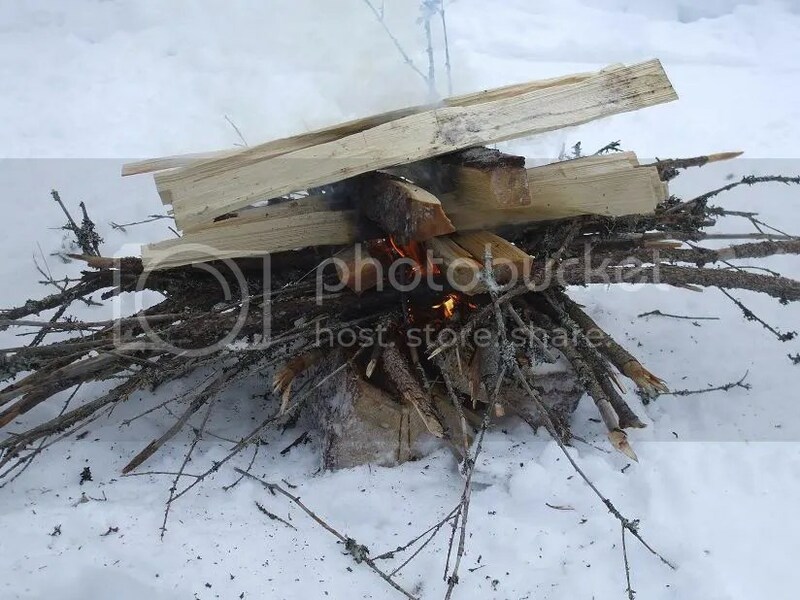 It’s a great thing to have a nice warming fire when it’s well below freezing, but if a spark flies from that fire and lands on your synthetic (i.e. 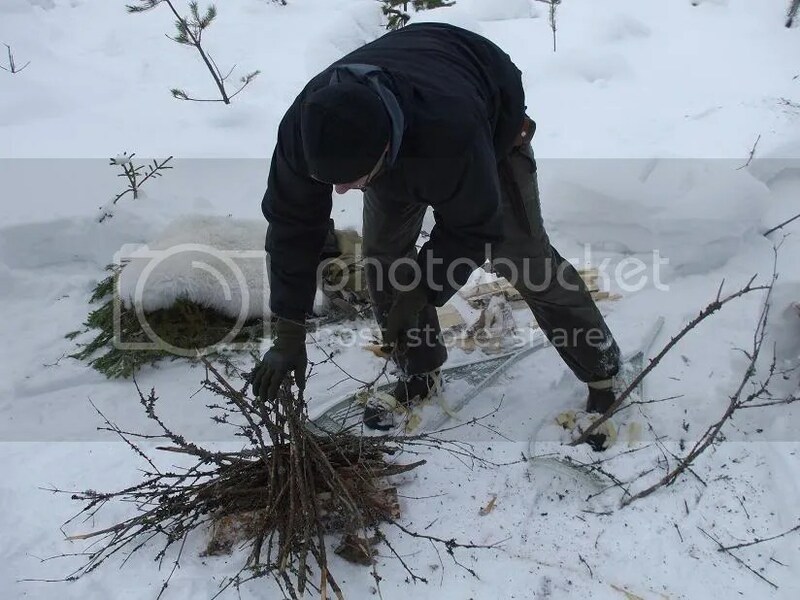 plastic) jacket, pants, gloves etc., it’ll burn a hole right through. 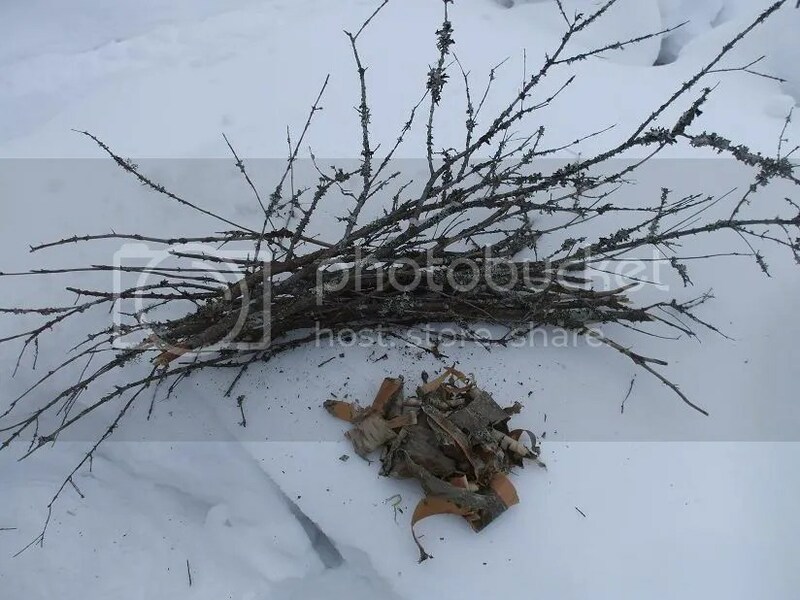 In addition, snow does not accumulate on cotton and leather in the same way as on wool, fleece etc. Although the inner layers of my clothing are snug against my body (but not tight), subsequent layers have to be looser. This allows warm air to be trapped both in the clothing itself, as well as between the different layers. You want to have plenty of bulky (but not heavy) clothing around you to keep you well insulated. Tight clothing, especially gloves/mittens and socks/boots, is not a good idea, because it restricts the flow of blood, which is what keeps those extremities warm. You should be able to freely move your fingers and toes. Tight clothing also reduces the thickness of the insulation around you. An important thing to keep in mind when it comes to winter clothing is that there’s a big difference between how warm you feel when you are being active versus inactive. At -30*C, I have to pace myself while snowshowing etc. or I will overheat and sweat when wearing the clothing listed above, which is a big no-no in the winter. In fact, I may have to unzip or remove one or more layers of upper body clothing to let out excess heat. But at the same temperature, I need all of those close zipped up well to stay warm while inactive. So when choosing winter clothing, make sure that it will keep you warm while inactive (you MUST test it to be sure). Remember, it can always be opened/adjusted to let out heat while you’re being active. At temperatures where my maximum loadout of clothes isn’t necessary, I will wear fewer layers or different items, depending on the temperature range to be expected. For example, the fake-fur hat is too hot to wear while being active above -20*C, so I wear a beanie instead. Then when I reach where I’m going, I swap hats. If the temperature will only be around freezing, I may only wear a T-shirt, thermal shirt, rain shell, beanie, cotton pants, rubber boots with one or two pair of socks, thin padded gloves etc. 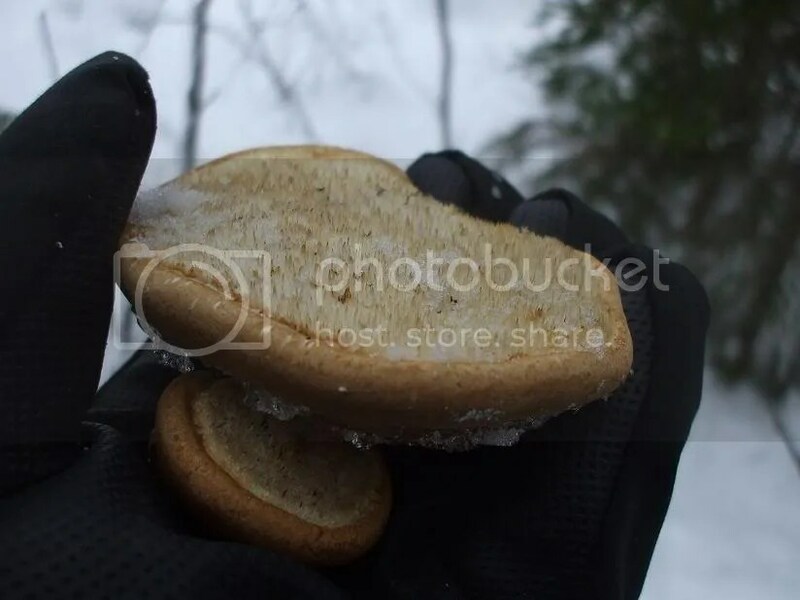 The reason I wear a pair of gloves inside the mittens is that it allows me to take the mittens off briefly to do tasks requiring more dexterity without having my bare skin exposed to the air/snow. The inner gloves also add some warmth. One thing I didn’t mention in the lists above is the extra belt I wear. Rather than going through my pants belt loops, this belt goes on the outside of my jacket, high on my waist. 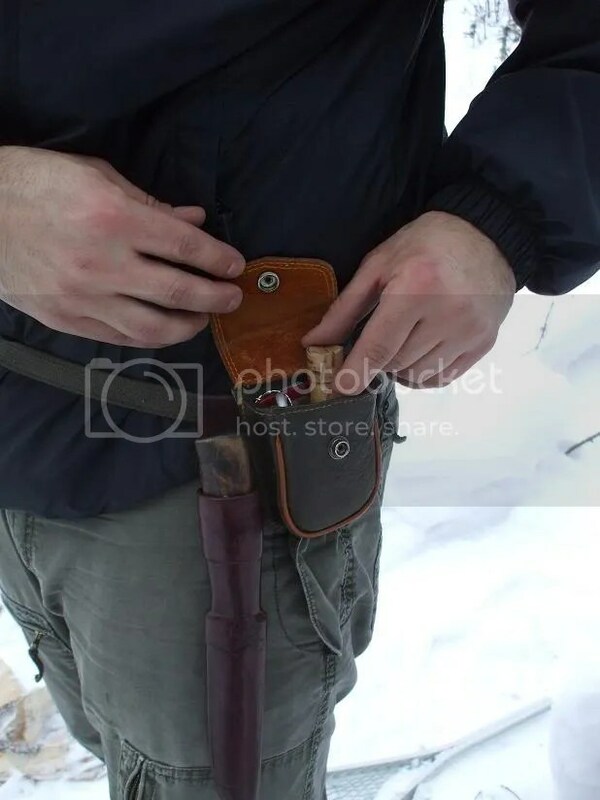 I put my belt pouch and knife on this belt, because they are much easier to access than if they are on my pants belt under my jacket. Another item I didn’t mention, but which I always have, is a heavy-duty German army poncho. This poncho is great for keeping snow off me and my pack/gear, which is a big help at temperatures just below freezing where snow is more likely to melt after landing on my clothing. I came up with my winter clothing system through trial and error over the past few years. By no means is it the only way to keep warm. Some people run hot, and some run cold. It’s important to figure out what’s best for you by experimenting in the field, but be careful when doing so. You don’t want to get stuck out somewhere with insufficient clothing. If there’s any doubt, dress warmer than you think you might need to, and also bring along an extra layer for each part of your body in your pack. 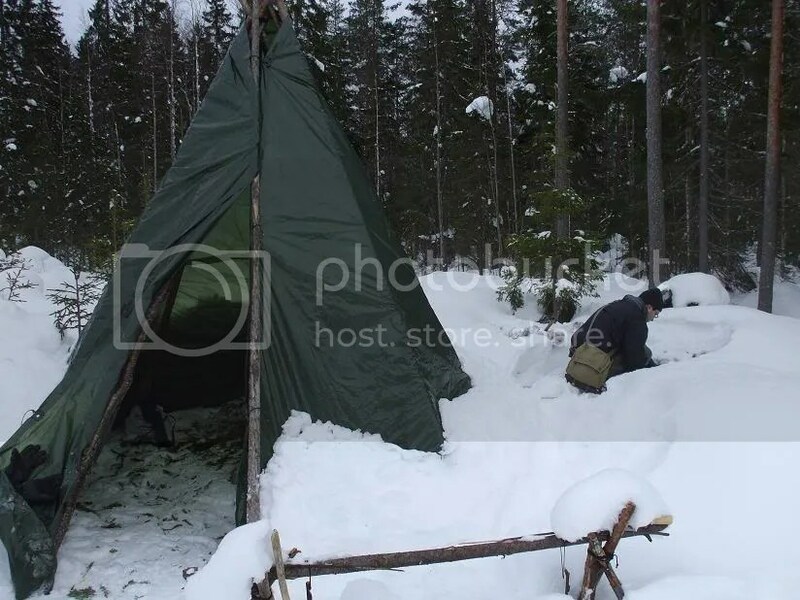 Be sure to check out The Trying Woodsman, a new bushcraft/camping/outdoor blog with a lot of potential by Ron, a Dutchman in Sweden!